On your mobile device, open the App Store® or Google Play™ Store. 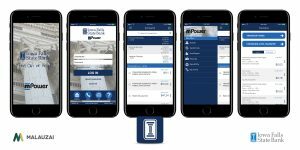 Download the Iowa Falls State Bank app. Once the app has downloaded, tap on the app to open it. If you have already enrolled in online banking, enter your chosen username and password. 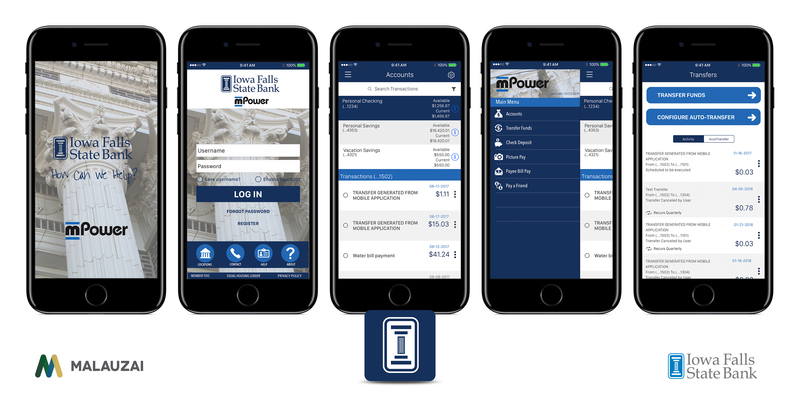 If you haven’t enrolled in online banking, enroll now on your mobile device. On the app’s main screen, tap “New User? Register Here”. Agree to the disclosure terms and tap “Accept” to begin the enrollment process. On the Customer Verification page, enter your account number, select the account type, enter the last five digits of your Social Security Number, enter your birthday then tap “Verify”. Create your username and password then tap “Submit”. CardLock: Easily switch debit cards on and off. SmartDeposit: Snap a photo of your check for deposit wherever you are at. QuickLogin: Touch ID, Auto Login, and PIN provide fully secure easy access. PeoplePay: A simple way to send money to friends and family. MoneyMover: Connect and manage funds between accounts at different financial institutions. BillPay: Convenient way to pay your bills.